Welcome to How to Quit Working. 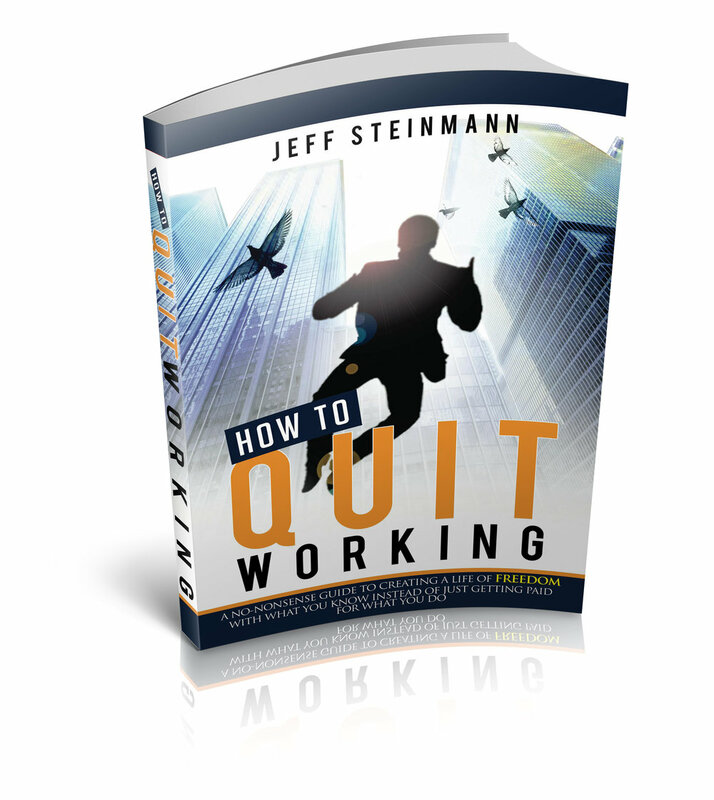 You probably heard me (How to Quit Working Creator, Jeff Steinmann) interviewed on a podcast and found your way to this page. Or maybe some other way. Either way, welcome. I'm sure you are here for a reason. Scroll down, watch the video, check out the book and if you'd like to hear more from me from time to time, enter your info below to get the weekly newsletter. Is a book I wrote. You can find it on Amazon here. For more about the history of How to Quit Working, click here.